Unplug - for more fun & productivity! How often do we succumb to the trap of checking our emails before dinner, after dinner, before bed, before the morning shower, on the train, in the coffee queue......? And of course our breaks are punctuated by punching out those tweets and Yammer & Facebook updates! It's hard to not stay constantly connected when we all carry around a pocket-sized computer at all times. 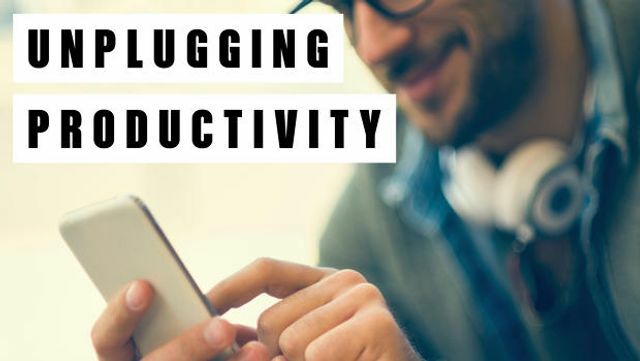 It's important though to make tiny decisions throughout the day to unplug in order to be as productive as possible. Watch the above video to find out tips, such as when to return an email, to how you should spend your lunch break, to whether you should watch TV after dinner or catch up on email. Just remember, the Internet isn't going anywhere. So have fun out there, and try to unplug and unwind.